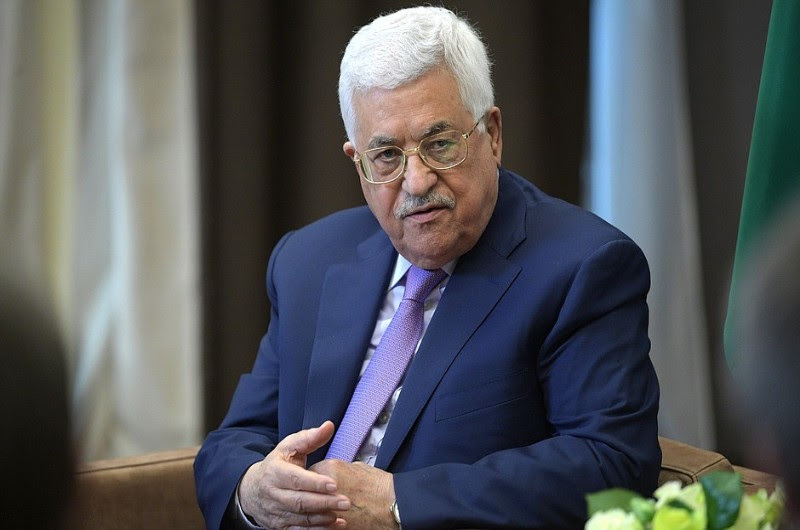 In an angry, some believe valedictory, address on Sunday evening, the Palestinian president, Mahmoud Abbas, delivered a series of broadsides against Israel, rejected the nascent US peace plan and vowed to continue paying salaries to convicted Palestinian terrorists. However, Sunday’s speech made a series of charges against the Jewish state that appeared designed to wound Israelis, excuse his own failures and feed a deeply ingrained Palestinian narrative of victimhood. Perhaps the most explosive was Abbas’ suggestion that Jews were so hostile to the establishment of Israel that they preferred to remain in Europe rather than emigrate, even as the Nazis embarked upon their wholesale murder. The president’s words ignored the fact that Britain, then the ruling power in Palestine, ended virtually all Jewish emigration in 1939. It did so amidst pressure from Arab states and the Arab population of Palestine. Abbas then appeared to deny the Jewish people’s historic connection to the land of Israel. He asserted instead that Israel’s creation was simply a “colonial project”. “Colonialism created Israel to perform a certain function. It is a colonial project that has nothing to do with Judaism, but rather used the Jews as a tool under the slogan of the Promised Land,” the president claimed. Abbas indicated that Europe’s colonial designs on Palestine stretched back to Oliver Cromwell. The victor of the English civil war, he argued, “thought of moving the Jews from Europe to the Middle East, to this region, because they wanted this region to be a frontier to protect convoys and interests coming from Europe to the East”. The president also suggested that Israel’s first prime minister, David Ben-Gurion, had not initially wanted Middle Eastern Jews to live in Israel, but had later conspired with the new state’s Arab enemies to force them to do so. “Ben-Gurion did not want Middle Eastern Jews to come [to Israel] … but when he saw the vast land, he was forced to bring Middle Eastern Jews … that didn’t want to come. From Yemen they flew 50,000 Jews …They didn’t suffice with 50,000 Jews. Then they went to Iraq, which had large reserves of Jews,” said Abbas. Abbas said that Israel then made a deal with Iraq “to take away the citizenship of Jews and force them to emigrate”. “They did not suffice with this and gathered all the Jews in Arab countries, from Morocco to Algeria and Tunis, Libya, Egypt, Syria and Lebanon,” the president claimed. In reality, over 850,000 Jews were forced from their homes in Arab countries and Iran amid rioting and looting, attacks on local Jewish communities and harsh new laws. Today, there are less than 5,000 Jews living in Middle Eastern countries outside Israel. The Palestinian leader also turned his rhetorical fire on President Donald Trump, denouncing the American peace plan and suggesting that the Palestinian Authority will cut ties with the US. Abbas has been fiercely critical of the US president’s decision to unilaterally recognise Jerusalem as the capital of Israel (read LFI’s statement on the issue here). In its wake he cancelled a planned meeting with US vice-president Mike Pence and refused to meet peace envoy Jason Greenblatt. In an apparent response to Abbas’ speech, the PLO central council voted for the PLO to suspend its 1993 recognition of Israel. Such a move will, however, need to be endorsed by the president. Abbas, wrote the Times of Israel’s Middle East analyst, Avi Issacharoff, in a review of the speech “did what he is so good at doing — blaming the entire world for the situation of the Palestinians, from the US, to Israel, Hamas, and even the Europeans, for their role in sending the Jews to Israel”. In a sign of defiance, Abbas also said he “completely rejects” US and Israeli attempts to stop the PA from paying salaries to convicted Palestinian terrorists serving time in prison in Israel and to the families of terrorists who died murdering Israelis. Last month, the US House of Representatives passed the Taylor Force Act, which will freeze almost all aid to the PA except that designated for a small number of humanitarian projects, until the practice stops. The Knesset will shortly begin considering legislation which would deduct the equivalent amount to what the PA pays terrorists and their families from taxes and tariffs which Israel collects for the PA. The PA’s own figures indicate that it paid $347m to convicted terrorists in 2017; the amount represents roughly seven per cent of its annual budget. “Israel rose up even though the Arabs didn’t want it, and Israel needs to be innovative in order to remain a country for the Jewish people, without annexing millions of Palestinians — whether Abbas wants it or not,” she said.